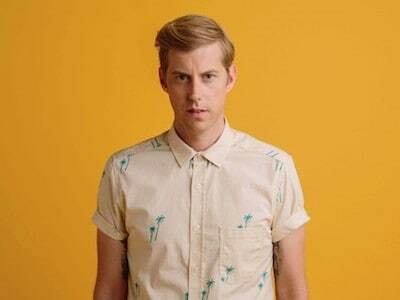 It’s safe to say that Andrew McMahon played a vital part in the formative years of most teenagers in the 2000s with beautifully relatable, sometimes heart-wrenching, piano based rock songs that filled the space in our away messages more than a few times. 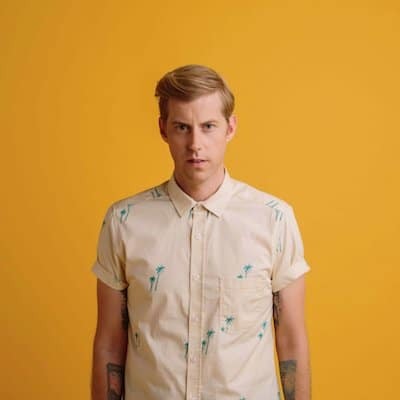 From the teenage angst of Something Corporate to the struggles of growing up with Jack’s Mannequin, Andrew McMahon’s latest project, Andrew McMahon In The Wilderness, brings an entirely new kind of evolution to the California singer’s discography. After leaving the world of major record labels and re-branding himself, Andrew McMahon brought his latest project across the pond to perform a handful of solo shows with his piano. We have to admit, we weren’t sure how well The Key Club would match a quiet, acoustic set from an internationally known rock star, but our concerns are alleviated almost instantly. As crowds of dedicated fans pour down the stairs, the tiny basement bar begins to fill with an air of excitement and anticipation as the opening band, London duo Sykes, take the stage to deliver a mesmeric performance. As the music fades, Andrew McMahon greets the crowd with handwritten signs introducing himself, bringing an immediate personal and comforting ambiance as he sits at his piano to start the show with ‘Synesthesia’. Interwoven with anecdotes from different periods in his life that led to the culmination of the songs we’ve grown to know and love, the performance has an intimate and warm atmosphere. Sing-a-longs of songs throughout his career fill the narrow walls of The Key Club as the performance is scattered with Jack’s Mannequin classics; ‘Holiday From Real’, ‘The Resolution’ and ‘Dark Blue’. Raw emotion floods the stage with every chord as McMahon loses himself in each song. McMahon offers insights to the crowd as he talks about his days with Something Corporate, leading into ‘Watch the Sky’ ‘Me And The Moon’ and ‘Cavanaugh Park’, mixed with songs from his current self-titled album such as ‘High Dive’, ‘Maps for the Getaway’ and ‘Rainy Girl’. As he avoids the pleasantries of the encore, McMahon admits, “I’m not good at this rock and roll thing” and ends the evening with his current single ‘Cecilia And The Satellite’ followed by ‘I Woke Up In A Car’ and ‘La La Lie’. Andrew McMahon proves that he’s not only an outstanding musician, but a performer in every sense of the word through building personal connections with the audience with a genuine demeanour. Through the intimate setting of a solo performance to an enthralled audience, McMahon delivers a unique and memorable performance that displays his range as an artist and a genuine love for performing.